﻿ Eastin Hotel, Kuala Lumpur | FROM $63 - SAVE ON AGODA! "Big room, toilet was super clean." Have a question for Eastin Hotel? "this is still a good place for business trip as my branch office is just next to it." 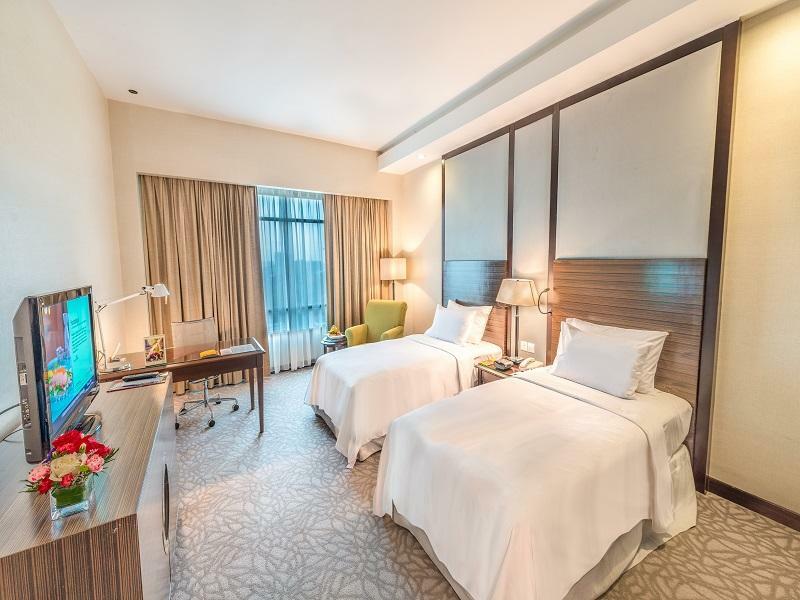 "Overall is good value of money"
"Huge room with living area, staff very responsive to request..."
If what you're looking for is a conveniently located hotel in Kuala Lumpur, look no further than Eastin Hotel. Phileo Damansara MRT station is only 5 minutes walking distance from the hotel and the international airport is 50 kilometers away. All rooms at the Eastin Hotel are impeccably furnished and appointed to meet international standards. All guest accommodations feature thoughtful amenities to ensure an unparalleled sense of comfort such as air conditioning, satellite/cable channels, bathtub, wake-up service and ironing facilities. Guests can enjoy a swim in the landscaped pool, play tennis, or workout in the gym. 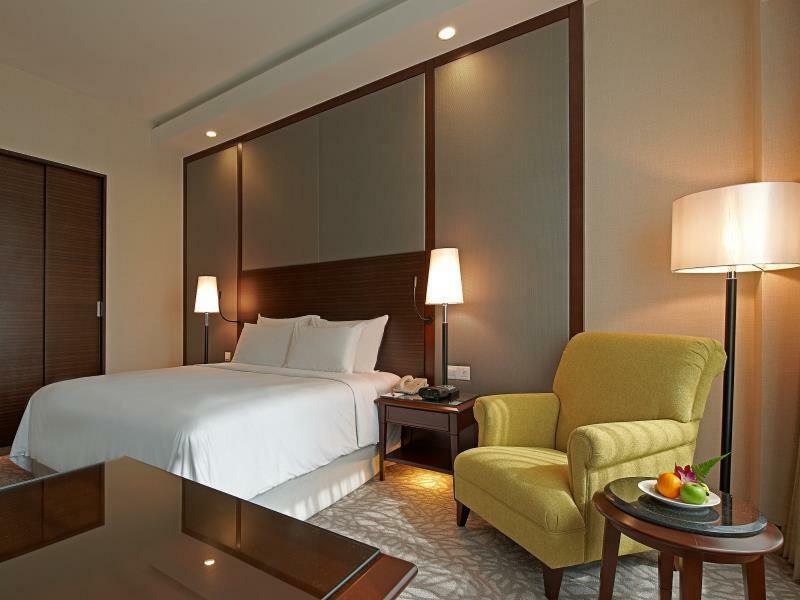 Eastin Hotel also offers excellent service and facilities for the business traveler. For those big occasions, there’s a grand ballroom large enough to cater for up to 900 guests. Chinese, local, western and Japanese food are just some of the specialties featured in the hotel’s restaurants while cigar and wine lounge provides an oasis for those with a taste for the finer things in life. 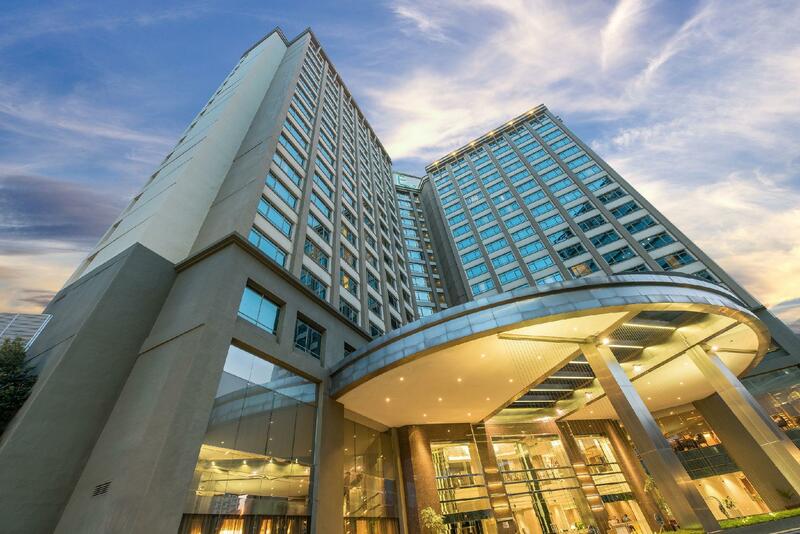 With an ideal location and facilities to match, Eastin Hotel hits the spot in many ways. "The hotel look nice and clean." The hotel is clean, security is great. All their staffs from the director to the housekeepers are very polite and friendly. Foods are good especially their pastries. Room is well equipped and very comfortable. Before writing my review, firstly, I would like to apology to the lady who processing my check out on dated 25th Dec 2018 for the issue happened as for my kind of loud manner as some issue and miscommunication occur. On dated 7th Feb 2019, i checked in back to Eastin Hotel and the hotel management was apologies for the internal miscommunication towards me by upgrading the hotel room with a apology card. And also kept the cooler pad which missed during my Christmas stayed. From here, trust and secure built as they do care their customers first. It shows 5 stars hotel but I think reality is only one star. The staffs are very rude and the hotel cannot provide good service. I remember one of the staff name, her name is Jennifer and she is very rude. I really disappointed Eastin Hotel. Glad hotel doesnt allow smoking indoors anymore. Yea!!! Room nice but quilt cover was stained immediately was replaced once informed. Bathroom clean but had a musty smell. May be the ceiling boards. Restaurant food delicious. i always stay at eastin when i come to KL. but this time i can say.. the pillow got sweat smell.. so disgusting... i was back to room in midnight. was too tire to complain. if not i will complain to change the room. Room was large and clean. I like the gym and swimming pool. Buffet breakfast was great, many choices of foods and they are tasty. The hotel is about 800m walk to the MRT station. Staying guest gets free parking. 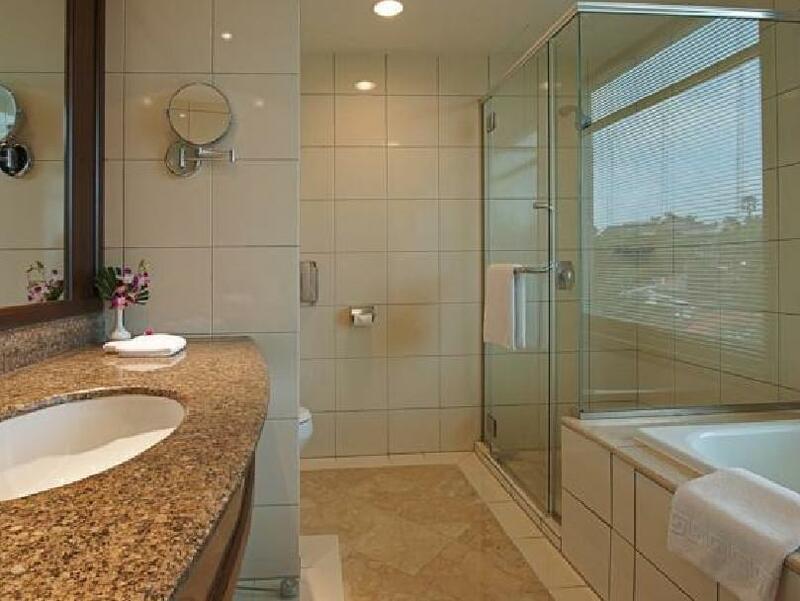 We booked the Executive King room which has a very large bathroom with separate tub and shower area. The room has a lounge area with sofa which is suitable for a small gathering in the room for a chat or game. 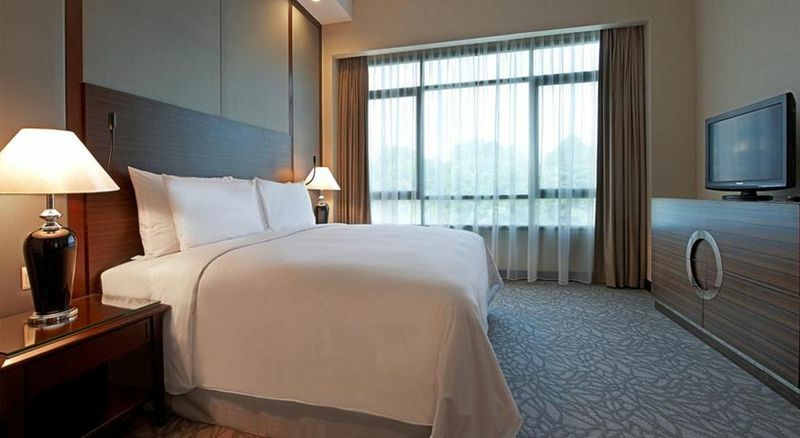 Located in a business area near Bangsar and Bandar Utama, the hotel is best for travellers with cars. There is an MRT station (Phileo Damansara) nearby which one can take to go to the 1 Utama shopping centre and KL Sentral. The front desk Staff was nice but the House Keeping guy was terrible! I have extended for my late check out till 1pm and I was grateful that the front desk people had arranged that for me. However, I was shocked that there was a man opened my door for "House Keeping" at 10.10am while I was still sleeping. I was going to check out at 1pm and there was not need to clean up the room before that. I was wondering what was his intention for that? I hope the hotel can seriously look into their SOP on this. We used this hotel as a base in order to attend an event just up the road. The value for money was great and the facilities were superlative (Gym / Pool). As we didn't make much use of the other facilities / restaurants etc, we can't comment on that. However, if we had another event in the area, we would likely go back to Eastin. My previous stay at this hotel was 6 years ago and I went again, was surprised that it was still very well maintained. Cleanliness and Comfort were at the top level. The in-room dining menu was very reasonably priced with many great options. The staffs were all very friendly with smiley faces all the time. I have felt very welcome here and definitely will recommend to everyone that would like to stay near all popular places such as Bangsar, Mid Valley, 1 Utama, KL City, Damansara and more. Room was big and comfortable. Clean and neat also. But this area did not had any restaurant nearby. So need to drive to others place to find search for restaurant. Overall are nice but only the location is slightly out of the hot spot area of KL. Anyway, grab cars are easier nowadays and Mrt station only 5 min walk away. Will strongly recommend who looking for 5 star hotel with the best rate. One more thing to highlight is the breakfast that really make your day, the varieties and the quality of foods damn nice. The rooms were clean and the people who worked there were friendly. The operators on the phone were unfriendly and unhelpful, however. We really liked the suite we stayed in and would recommend it to others, even though it did not have a kitchen (unlike the other suites in KL that we've stayed at recently). We did not like that it was right at the motorway, which made driving there a little complicated unless you're familiar with the system. The swimming pool needs a little touch up. We were given only one access card, which was inconvenient as there were 2 adults and 1 child during the stay. A little dusty at the mini bar area. The kettle is quite old, where the heating element is rust. The water supply has a weird taste that even after boil still have the same taste. Perhaps, should check on the water supply. Also recently noticed that the air conditioner in the room is weaker. Overall, still quite good. Thanks! Great hotel deal on the weekend. Good location with shuttle service provided to nearby shopping malls. LRT Station within walking distance. Great reception from the hotel staff. Abit of traffic noise from the main road. The hotel look nice and clean. The receptionist may need to do fast transaction, check in n check out was slow especially when i paid for room in advance. Suppose to get no smoking room, when i entered my room its smell the cigarette smell. The door have no lock n look like it was broken before and not fixed. The breakfast spread was just nice. Maybe will come back since its a bit far frm PJ town n less noise while sleeping..
We upgraded to the executive suote on 17th floor for 70RM more. There was a small fridge and a huge bathroom with bath. A nice assortment of bathroom complimentary items. Decent sized gym and a lovely looking pool. Only thing was there was so no hotel guide/room guide explaining where everything is and what floor things were on etc. Free Wi-Fi was good. Breakfast was included and had a good selection for all including western foods. I would stay here again. Bed was firm but not as bad as some in Malaysia where hard beds seem common. Great thanks to Dinendra (front line) for taking care of us. The weakest link in Eastin is the front line staff (except the aforementioned Dinendra) in terms of their service proficiency, especially for frequent returning customers. They ask for the same details of the customer when it should be recorded in their system from the first visit which degrades the credibility of the hotel. It makes the check-in process much longer. The rest of the hotel is run very well. despite its age. Good location, reasonable pricing, good cleanliness, good housekeeping services, good room service. So, improve on your weakest link and I’m sure that you’ll grow your loyal customer base. Overall, well done Eastin and the people whom we’ve praised.